Geneva: Germany is admitted to the League of Nations. Spain: Day 54 of 985 of the Spanish Civil War. Spain: Day 419 of 985 of the Spanish Civil War. CBI - China: Day 64 of 2,987 of the 2nd Sino-Japanese War. Day 27 of 106 of the 2nd Battle of Shanghai. Day 8 of 70 of the Battle of Taiyuan. Spain: Day 784 of 985 of the Spanish Civil War. CBI - China: Day 429 of 2,987 of the 2nd Sino-Japanese War. Day 90 of 139 of the Battle of Wuhan. ETO: At Bedzin, 200 Polish Jews are burned alive in a synagogue by the Germans who charge Poles with the crime, and then execute 30 of them in a public square. 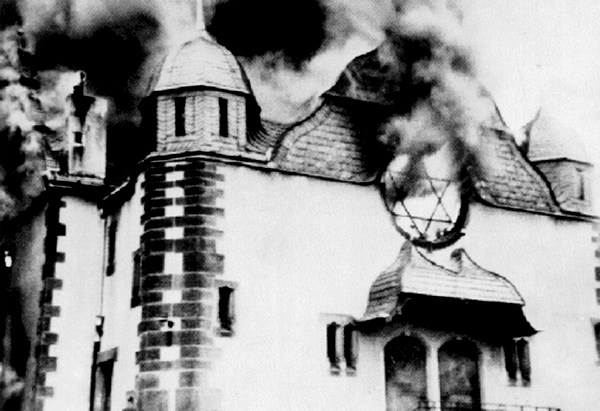 The Germans instituted a special campaign of burning down synagogues, or, after destroying their interiors, turning them into stables, warehouses, bathhouses, or even public latrines. In Bedzin, flames from the burning synagogue spread to neighboring Jewish houses. The area was cordoned off by soldiers and SS-men who did not permit anyone to escape or to fight the fires. The rabbi of the community was forced to sign a "confession" that the Jews themselves had started the fire and was ordered to pay heavy fines as punishment for the "arson." The Jewish community was also compelled to bear the cost of tearing down the remaining walls of the houses and clearing the rubble. Poland: Day 8 of 36 of Germany's Invasion of Poland. Polish defenders at Danzig surrender after a week of continuous bombardment. The Polish government leaves Warsaw for Lublin, while its forces at Radom are surrounded. CBI - China: Day 794 of 2,987 of the 2nd Sino-Japanese War. CBI - Mongolia: Day 121 of 129 of the Battle of Khalkhin Gol. ETO - UK: Day 3 of 258 of the Blitz. A national Day of Prayer is proclaimed throughout Britain. ETO - UK: Day 61 of 114 of the Battle of Britain. RAF bombers concentrate on disrupting the German invasion effort. East Africa: Day 91 of 537 of Italy's East African campaign in the lands south of Egypt. CBI - China: Day 1,160 of 2,987 of the 2nd Sino-Japanese War. Day 299 of 381 of the Battle of South Guangxi. Day 20 of 42 of the Hundred Regiments Offensive. Russian Front - Finland: Day 79 of 164 of the Battle of Hanko. The Soviets will be forced off their leased naval base. Russian Front - Finland: Day 5 of 28 of Finland's reconquest of East Karelia in southern Finland. The Soviets continue withdrawing from the Karelian Isthmus back to Leningrad. Russian Front - Finland: Day 72 of 142 of Operation SILVER FOX, a joint German-Finnish campaign to capture the Russian port of Murmansk in the Arctic. The German troops begin withdrawing back into northern Finland. Russian Front - Finland: Day 70 of 140 of Operation ARCTIC FOX, a joint German-Finnish campaign against Soviet Northern Front defenses at Salla, Finland. Russian Front: Day 79 of 167 of Germany's Operation BARBAROSSA, the overall invasion of the USSR. Russian Front - North: Day 1 of 872 of the Siege of Leningrad. Leningrad is now completely surrounded after German troops had closed the land bridge at Schluesselburg. Russian Front - Center: Day 23 of 23 of the Battle of Dukhovshina, Russia. Soviets liberate Dukhovshina. Russian Front - Center: Day 10 of 10 of the Battle of Yelnia, Russia. The Soviets liberate Yelnia. Russian Front - Center: Day 10 of 14 of the Battle of Roslavl-Novozybkov, Russia. Russian Front - South: Day 32 of 70 of the Siege of Odessa, Ukraine. Russian Front - South: Day 17 of 35 of the 1st Battle of Kiev, Ukraine. MTO - Libya: Day 152 of 256 of the Siege of Tobruk. Middle East: Day 15 of 24 of the Anglo-Soviet invasion of Iran. East Africa: Day 456 of 537 of Italy's East African campaign in the lands south of Egypt. CBI - China: Day 1,525 of 2,987 of the 2nd Sino-Japanese War. Day 3 of 33 of the 2nd Battle of Changsha. Atlantic: Twelve British merchant seamen are awarded Russian decorations. Russian Front - North: Day 366 of 872 of the Siege of Leningrad. Russian Front - North: Day 127 of 658 of the Siege of the Kholm Pocket, USSR lays siege to the Kholm Pocket but the Germans hold out for a about a year and a half. Russian Front - Center: Day 41 of 64 of the 1st Battle of Rzhev-Sychevka, Russia. Though it will end in a stalemate, it will keep German troops from going to Stalingrad. Russian Front - South: Day 73 of 150 of Germany's CASE BLUE, the failed offensive to take the Caucasus oil fields. Russian Front - South: Day 17 of 165 of the Battle of Stalingrad, the bloodiest battle in human history. MTO - Greece: US B-24s attack the harbor at Suda Bay. East Africa: Day 127 of 186 of the Battle of Madagascar. CBI - China: Day 1,890 of 2,987 of the 2nd Sino-Japanese War. Day 117 of 124 of Japan's Zhejiang-Jiangxi Campaign, launched to punish anyone suspected of aiding the Doolittle raiders in China. Roughly 250,000 Chinese will be killed. PTO - Alaska: Day 94 of 435 of the Battle of Kiska, Aleutian Islands. The US and Canada will defeat the Japanese invaders. PTO - Malaya: Day 202 of 357 of the Battle of Timor Island, a long guerrilla war ending in Japanese victory. PTO - New Guinea: Day 50 of 119 of the Battle of the Kokoda Track. The Japanese continue driving over the Owen Stanley Range toward Port Moresby. This will become an Allied victory. PTO - Solomon Islands: Day 33 of 187 of the Battle of Guadalcanal. ETO: US 8th Air Force: B-26s hit airfields and coastal defenses in France. ETO: US 8th Air Force: 44th and 93rd Bomb Groups resume operations in the UK after detached service in Africa. Russian Front - North: Day 731 of 872 of the Siege of Leningrad. Russian Front - North: Day 492 of 658 of the Siege of the Kholm Pocket, USSR lays siege to the Kholm Pocket but the Germans hold out for a about a year and a half. Russian Front - Center: Day 33 of 57 of the 2nd Battle of Smolensk, Russia. Becomes a Soviet victory as the Axis are pushed completely away from the Moscow region. Russian Front - Center: Day 23 of 48 of the Battle of Bryansk, Russia. German troops continue retreating. Russian Front - South: Day 16 of 122 of the Battle of the Lower Dnieper River, USSR. MTO - Italy: Operation AVALANCHE, the Allied invasion of Italy begins. Troops land at Foggia and Salerno with US 9th and 12th Air Forces providing air support. The Italian army surrenders. German forces seize control of Rome and northern Italy and continue the fight. CBI - China: Day 2,255 of 2,987 of the 2nd Sino-Japanese War. PTO - New Guinea: Day 140 of 148 of the 2nd Battle of Lae-Salamaua. Will become an Allied victory. PTO - Solomon Islands: Day 25 of 56 of the Battle of Vella Lavella. The Allies will win this one. ETO: The first of over 3,000 German V-2 rockets hit Paris and London from mobile bases in Holland. Beginning September 8, 1944, over 3,000 V-2s were launched as military rockets by the German Wehrmacht against Allied targets during the war, mostly London and later Antwerp and Liege. The attacks resulted in the deaths of an estimated 9,000 civilians and military personnel, while 12,000 forced laborers and concentration camp prisoners were killed producing the weapons. 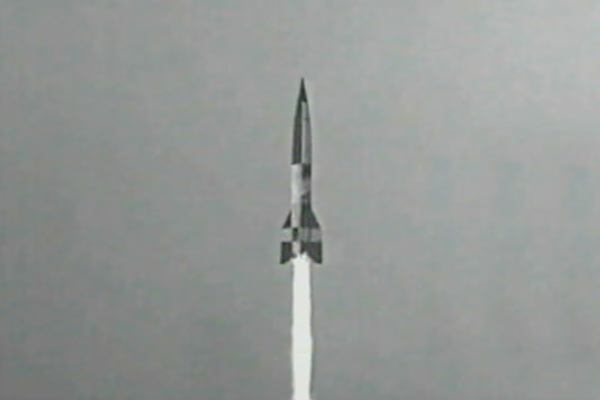 The last V-2-related casualties in Britain occurred on March 27, 1945. ETO - France: Day 39 of 284 of the Battle of Brittany. ETO - France: Day 25 of 32 of Operation DRAGOON, the Allied invasion of southern France. US and French troops continue racing up the Rhone Valley. ETO - Belgium: Day 7 of 62 of the liberation of Belgium. Canadians take Ostend while US 1st Army takes Liege, just 20 miles from the German border. ETO: US 8th Air Force: B-17s hit at Gustavsburg, Kassel, Mainz and Ludwigshafen, Germany. B-24s bomb at Karlsruhe and Ludwigshafen, Germany. Other B-24s run gas trucking missions to Patton. Russian Front - South: The Soviets invade Bulgaria. MTO - France: US 12th Air Force A-20s fly supply missions to an airfield near Lyon while fighters strafe the Belfort area, hitting ten trains. MTO - Italy: The US 5th Army launches an assault against the Gothic Line. MTO - Yugoslavia: US 15th Air Force heavy bombers attack targets at Brod, Belgrade, Sarajevo and Nish. Fighters hit airfields at Ecka, Petrovgrad, Ilandza, and Alibunar. CBI - Burma: Day 161 of 302 of the Chinese Salween Offensive in Burma. CBI - China: Day 2,621 of 2,987 of the 2nd Sino-Japanese War. Day 145 of 259 of Japan's Operation ICHI-GO. PTO - New Guinea: Day 269 of 597 of the Battle of New Britain. PTO - New Guinea: Day 140 of 481 of the Battle of Western New Guinea. CBI - China: Day 2,986 of 2,987 of the 2nd Sino-Japanese War.